Brilliant! Loved it! And thank you for visiting House Sparrow. This is gorgeous and resilient; thank you! Beautiful poem. So Hopeful. Love always remains… very important to remind yourself. I can really feel this one, Frank. Thanks for writing and for sharing. Liked and shared. Nicely written. I can relate in my own way, though I definitely did not always do this. I really liked the repetition here. interesting how reputation, which usually adds solidarity or constance, can be used to cause uncertainty. Well done. I thought I healed but haven’t. Thankyou for lovely poem. It’s beautiful.. I think you’ve been reading my mind. Very beautiful, very powerful. This line is epic..love it.. 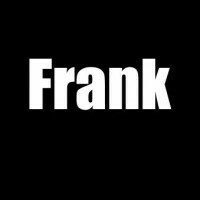 So good Frank! The only perspective a Christian should have. No matter what happens our life is not determined by it. God (Love) determines that. This is great! Nice flow.